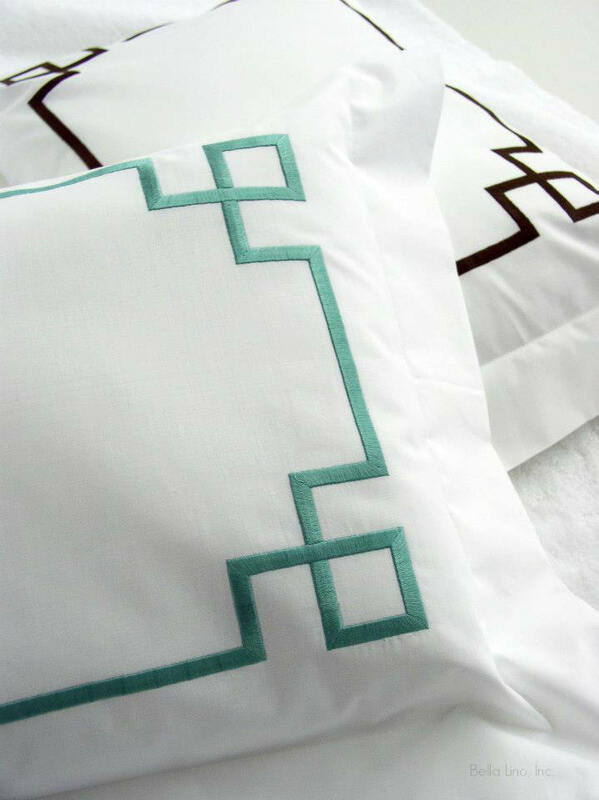 Embroidered geometric Fretwork design available as tailored sheet sets, duvet covers, and shams. 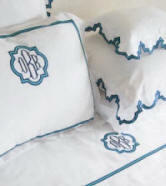 Pique bed coverlets and shams also available. 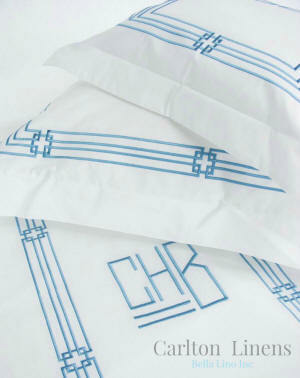 Sheet sets include 1 Flat, 1 Fitted and 1 Pair of Cases. Twin Sheet Sets include 1 Single Case. All deep pocket fitted sheets. See Size Guideline Below.